What does your ideal week look like? Not your actual week, but the one you wish you had! I am a big believer in reaching towards the ideal week, and, yes, I believe you can actually live it out. Let’s have a conversation about what makes a week ideal, and how we can take steps towards turning ideals into reality. 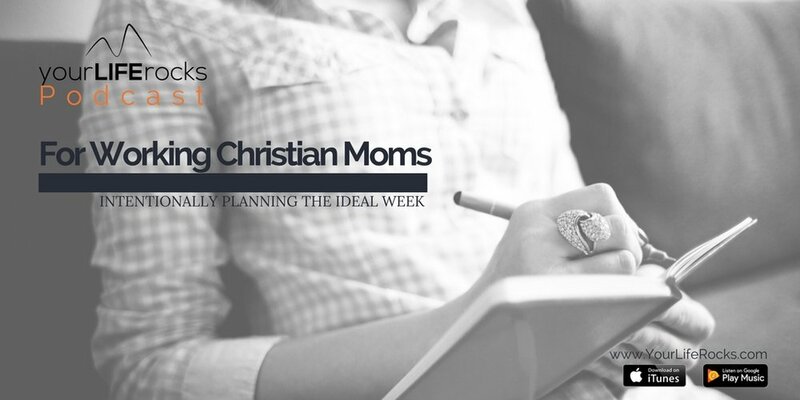 If we are going to talk about the ideal week, we have to talk about time management. It is time to ask ourselves: Is the way I’m using my time actually building me up to creating balance in my life? If the answer is “no,” then we need to start putting the important things down on the calendar. Don’t just put the big things down, and go ahead and add the to-do list to the calendar too! God is clear about how we are to be diligent, hardworking, and intentional, but all of our lives look quite different. By taking a good hard look at how we spend our time, we are honoring that standard God has set for our lives. This week’s verse offers up some wisdom for us as we strive towards our ideal week. Here is my challenge for you: shoot and aim for your ideal week. Make the routines, set up the systems, and then take real steps to move closer to your goals. It is going to take time and prep, but after you have planned out your ideal week, the only place to grow is closer to your goals. Here are 5 steps to get you started! Get clear about what it is you want. Map it out in pencil. Adjust to make sure it all fits. In addition to this podcast, I am adding a 7 day course for Life Balance Members on time management and the ideal week. If you are not a member yet, you have a lot to look forward to! Balance can only happen through the power of Jesus Christ, but when we take time to be intentional, he will certainly give us the energy and wherewithal to follow through. It’s time to live out our intentions!